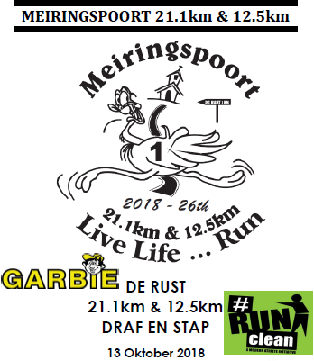 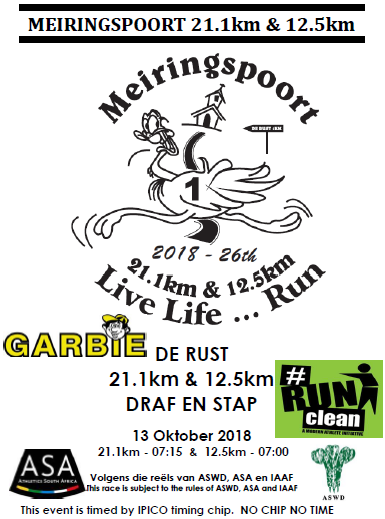 Internet Entries: www.meiringspoort21.co.za Loyalty entries OPEN on 26 May 2018 @ 06h00 for 2017 participants and on 2 June 2018 @ 06h00 for others. 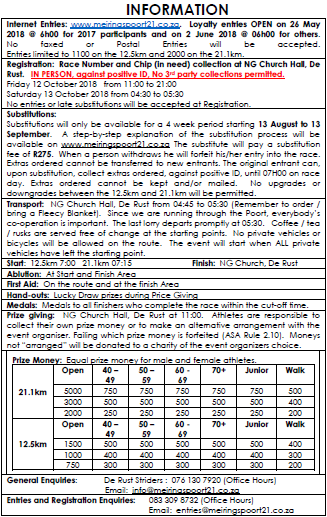 No entries or late substitutions will be accepted at Registration. 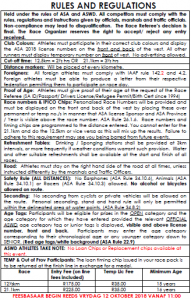 Athletes are responsible to collect their own prize money or to make alternative arrangement with the event organiser. 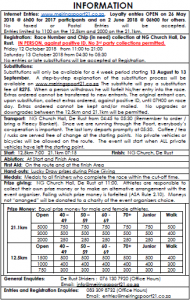 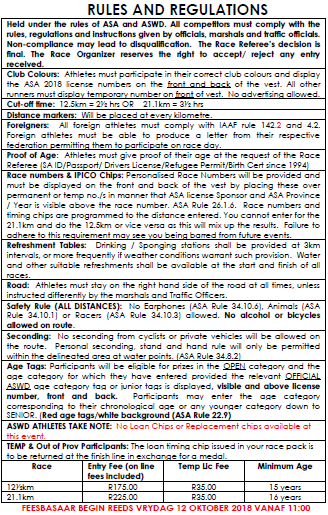 Failing which prize money is forfeited (ASA Rules 2.10).